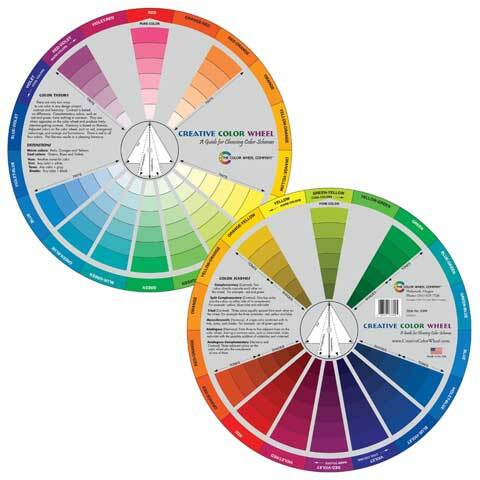 Creative Color Wheel Color Wheel Co.
A tool for designers in a variety of artistic mediums to help create color combinations and to understand color relationships. This color wheel helps organize colors to make choices and combinations easier. It defines common terms and helps the artist to understand color uses and interactions. The two-sided rotating wheel shows color relationships. Convenient and portable, it is UV-coated to minimize fading and protect it from moisture. Great for a variety of artists including painters, quilters, knitters, crafters and floral, interior, graphic, garden and landscape designers.